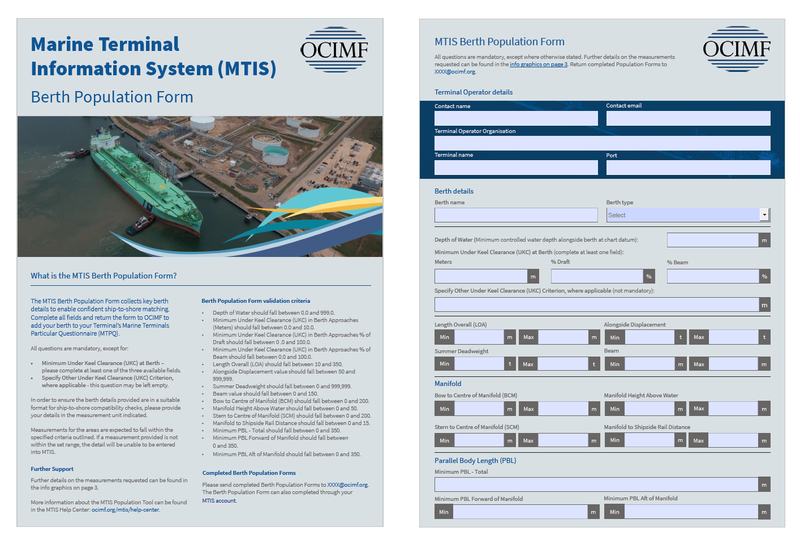 The Marine Terminal Information System (MTIS) was launched in 2011 as a way to improve ship-to-shore safety management and improve communication streams between ship and terminal operators. Over 2017, MTIS underwent an extensive review. Registered terminal operators were invited to provide OCIMF with feedback and comments about their involvement with the programme and changes they felt could improve the service. At the start of May 2018, OCIMF launched the updated MTIS. New look MTIS website and account page – improving navigation and user friendliness. Streamlined registration process – reducing the time required to join MTIS. Berth details form – supporting users in entering their berth details. Help Centre – supporting users with 24/7 access to MTIS questions and queries. MTIS will undergo further development over 2018 as OCIMF look to continue making improvements to global ship-to-shore safety management. Forwarding this newsletter to relevant contacts in your network. Encouraging registration on the MTIS website: www.ocimf.org/mtis.